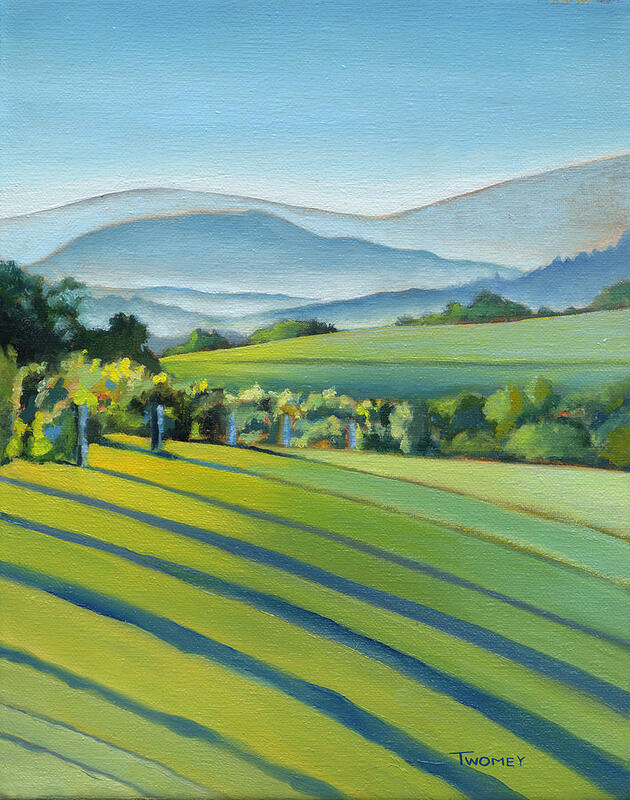 Vineyard Blue Ridge On Buck Mountain Road Virginia is a painting by Catherine Twomey which was uploaded on October 8th, 2012. Driving along Buck Mountain road as the sun was starting to head down, I pulled off the road as I had to get this sight down. 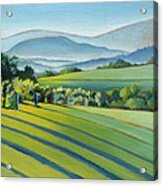 The most stunning view of the day - the vines, the mist in the Blue Ridge mountain valley's, the way the sun blasted the foliage. No wonder I love this place - this landscape view is about five minutes from my house and has brought me great peace and happiness. Congratulations indeed. Keep up the good work! Thanks so much, Brian! I will, you too! Thanks very much, Chet! Much appreciated. Very much appreciated. 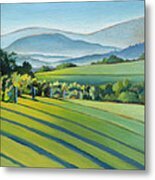 Just love the patterns of vineyards. Greatly appreciated! 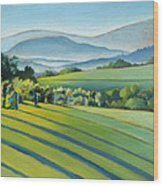 The Blue Ridge mountains are a constant source of inspiration. Thank you James, for your kind comment. 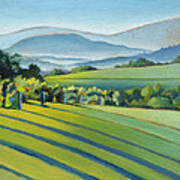 Really enjoying the plein air painting as the sun begins to warm the air in the Blue Ridge. Hi Bill: Very kind of you to comment. I'm thrilled with the sale and looking forward to more springtime plein air painting. Congratulations on your sale Catherine!!! Hi Lee, how are you? Thank you for your congrats; very much appreciated. Take care. Marian, Thank you very much for your kind words - much appreciated. Thank you for your kindness, Julie! Thank you so much Chrisann, for your kind comment. Thank you Irina for your kind words. WOW! Nice Work! CONGRATS ON SALE!!!! love RjFxx. So Beautiful Catherine... and Congrats on your sale! Thank you for your gracious comment, Chrisann; I greatly appreciate it. Thank you very much to the purchaser of the print! It is greatly appreciated. And thank you Victor for your kind words! You both made a tough day much nicer.